Fate/Zero is probably one of the most highly anticipated series in both 2011 and 2012. People say bigger expectation brings bigger disappointment, but I can assure you that is not going to be the case here. 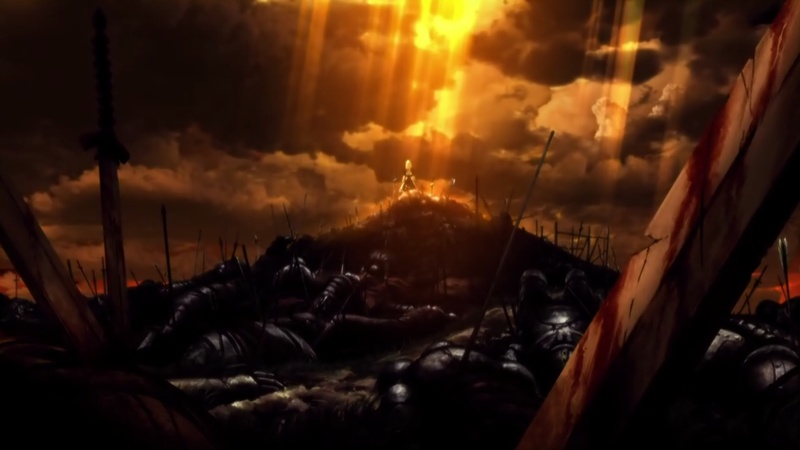 In my opinion the production team of Fate/Zero did everything right to meet the expectation. As the prequel to Fate/Stay Night, it's quite a bit more sophisticated than its predecessor, both in plot and character design, probably due to the fact it was trying to tie the back story of every major character from Fate/Stay Night into a single plot. It presented few interesting philosophical dilemma, especially the discussion between the different historic figures about what it really means to be king. Alongside with the complex plot and interpersonal relationships, one of the selling point of the story is the explosive battles among the summoned warriors. Although from the get-go it was pretty clear who is the ultimately dominating servant (even when you haven't seen Fate/Stay Night, you could tell), the battles along the way (both between servants and the masters) are rather exciting. I can go on for quite a while about Fate/Zero, but the bottom line is that it is definitely worth your time, whether you have previously seen Fate/Stay Night or not.